Think you could be a Virgin Media Technical Top Dog? One of these schemes might be for you if you really can’t live without technology, in fact you’d go so far as to say you’re a ‘Techie Whizz’, you just love taking things apart and learning how they work – more than that you love being out and about with other people and working hard to make their lives easier. 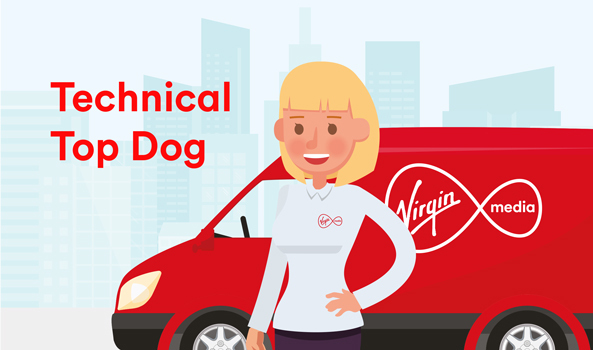 Check out the Virgin Media Apprenticeship Schemes for the Technical Top Dog in you, but if you think you might like something a little different do check out the other schemes we offer. ARE YOU A TECH HEAD LOOKING TO CONNECT PEOPLE? At Virgin Media, our customers expect to be dazzled! By our products, which include the UK’s fastest broadband network, and by our people – for making their lives brighter, easier… and a bit more fun! As a Field Technician, you’ll be at the frontline of providing our amazing services – travelling the country in one of our distinctive vans and visiting customers’ homes to set up or fix their products. As part of our Field Engineer Apprenticeship Scheme, you’ll learn how to install and repair our groundbreaking broadband, TV, mobile and home phone services – while reflecting the Virgin Media brand in every conversation you have with customers. Your scheme mentor and other workmates will help you gain experience and exposure across the business. You’ll be taught how to run cables properly, measure and adjust signal levels, make and change connections, configure state-of-the-art equipment and give our customers the low down on how their services work. And, while you’re kickstarting your career at one of the country’s most forward-thinking and fun-loving companies, you’ll be paid a tidy sum with some incredible benefits too! What’s not to like? Ideally, you’ll be comfortable using cutting edge technology, enjoy solving problems (especially using your hands) and have a talent for talking to people – while a head for heights and a clean driving license would also be useful! We do things a little differently here. And to make that happen our people need to be a little different too. This isn’t a place for pen pushers and clock watchers. Our people are super sharp and switched on. They are friendly, flexible and up for the challenge of satisfying our customers – that’s the deal here! We’re looking for tech savvy men and women who can shine a bright light on technical gremlins, while being a brand ambassador every time they deal with our customers. In 2017, we announced our long-term vision of achieving 50/50 gender parity by 2025. It’s super-important for us to reflect equality and diversity – and that’s why we’re encouraging men and women to hone their technical skills with us. If you’re a demon of diagnostics with a personality to match your technical expertise… come and be a part of something special at Virgin Media! • Maths and English GSCEs (Grade C or above, Grade 4-9). DO YOU HAVE THE CAPACITY TO HANDLE OUR NETWORK? As part of our Network Engineer Apprenticeship Scheme, you’ll travel around your local area and learn how to operate, programme and repair broadband cabinets – scaling networks up and down to meet the ever-changing needs of our customers. With help from your scheme mentor and other workmates, you’ll learn how to provide cost effective ways to deliver for all sorts of award-winning network services – such as our ultrafast broadband and advanced TV products. You’ll make sure that we make the most of our existing capacity, while helping manage the life cycle of the largest network in the UK and Europe. You’ll also be working closely with our Design, Build and Deploy teams to develop a Network Capacity Plan for the next 12-18 months. And, there’s more – you will be checking network capacity for business orders and providing costs, and we’ll want you to be constantly looking for ways to improve our performance. As a technical role, you’ll need to have an A-level in a STEM based subject and GCSEs in Maths and English (Grades C+/4-9) or equivalent – as well as a head for diagnostics and analysis that can help us prevent network problems like loss of connectivity, performance decline and network outages. Some knowledge of networks and relevant technologies is welcome but not essential. We’re more interested in dynamic free-thinkers who can manage relationships and have the confidence to stand up to the status quo. During the 18 month scheme, you’ll gain all the experience, understanding and exposure to our leading business practices that you’ll need to kick start a successful career – and we’ll pay you a decent salary with amazing benefits while we prepare your future! In 2017, we announced our long-term vision of achieving 50/50 gender parity by 2025. It’s super-important for us to reflect equality and diversity in our workforce – and that’s why we’re encouraging men and women to hone their technical skills with us. We are looking for motivated men and women who are ready to TURN IT ON by switching to a career at Virgin Media… Come and be a part of something special! • Educated to A-level or equivalent in STEM* based subject. DO YOU WANT TO BUILD SOMETHING FOR THE FUTURE? This is an exciting opportunity to play a key role in Virgin Media’s Lightning force and learn what makes our network so special from the experts who shaped it! Our Civil Engineering Apprenticeship Scheme has been designed to give you knowledge and practical experience of our engineering operations – as well as a sound understanding of associated street works and industry legislation. You’ll become our ‘go-to person’ for civil engineering issues, and work closely with our partners, Planning, and Activation Field Engineers to mediate on a wide range of matters. With help from your scheme mentor and supportive colleagues, you’ll learn all about design, technical specifications, health and safety, best practice techniques for ground works, and how to mediate a wide range of matters between various business divisions. You will also be acting as the main support network for our grounds work staff, supervising and co-ordinating a range of build and projects on site. And, you’ll gain practical knowledge of associated street works and communications industry legislation. We’ll expect you to have at least five GCSEs, including Maths (Grade B), English and Science (Grades C+/4-9) or equivalent, although we’re just as interested in what makes people want to join one of the UK’s most forward thinking and fun-loving companies. Passion and determination are essential, especially as this scheme can last up to 36months! You’ll also need to be super organised, self-motivated – and have a full driving license to travel between sites. During our award-winning schemes, you’ll gain all the experience and exposure to our leading business practices that you’ll need to kick start an exciting career at Virgin Media – and we’ll pay you a decent salary with amazing benefits too! In 2017, we announced our long-term vision of achieving 50/50 gender parity by 2025. It’s super-important for us to reflect equality, especially for STEM based subjects – and that’s why we’re encouraging men and women to bring their skills to tech roles. We’re looking for talented men and women who are organised, pro-active and able to work both alone and as a part of a team… Come and be a part of something special at Virgin Media! • 5 GCSEs, including Maths (Grade B), English and Science (Grade C or above, Grade 4-9) or equivalent. DO YOU WANT TO MAKE THE WORLD A SAFER PLACE? Our Health and Safety Advisors are responsible for creating Virgin Media’s world-class safety culture – making sure our people stay in shape and out of harm’s way! At Virgin Media, we like to take care of our people – that includes our employees, contractors, visitors and customers ¬– to make sure they return home safe and sound every night! That’s why we’ve developed a safety-first culture that puts our ‘Zero Harm’ agenda into practice across the entire organisation and our wider contract partner base. Virgin Media directly employs around 14,000 people and we want them all to feel safe in safe hands when they’re with us! As part of our Health and Safety Apprenticeship Scheme, you’ll learn how to assist, advise and teach our safety values at every level of the business. You’ll be working closely with others to share safety issues and workstream – while making sure we’re sticking to legal and ethical requirements. With help from your scheme mentor and other workmates, you’ll be shown how to deliver workshops, provide day-to-day support for our teams and partners, investigate accidents, monitor our performance and come up with new ways to keep our people from danger. A safety-first attitude and determination to see your training through are equally as important as academic qualifications – although you will need at least five GCSEs. including Maths (Grade B+), English and Science (Grade C+, or equivalent Grades 4-9). Your scheme mentor and other workmates will guide you through the two-year programme, offering advice and helping develop your organisational, communication and people skills. Eventually, you’ll lead our Zero Harm agenda, working closely with senior colleagues to make sure its principles are followed and coming up with ways to improve our safety culture in the future. You may also be asked to work across a geographical area, travelling within your region and occasionally beyond to share lessons learnt and provide practical Occupational Health and Safety support and compliance. We’re looking for talented men and women who can make our world a safer place. In return, you’ll gain first-hand experience, exposure to our leading business practices and a decent salary and amazing benefits while you’re at it! In 2017, we announced our long-term vision of achieving 50/50 gender parity by 2025. It’s super-important for us to reflect equality and diversity – and that’s why we’re encouraging men and women to come and be a part of something special at Virgin Media! DO YOU HAVE A BRAIN FOR BUSINESS? You don’t need to be a detective to figure out that that Virgin Media Business is the B2B arm of our brand – providing our groundbreaking products and services to companies of all shapes and sizes. Unlike our network engineers, who spend most of their time out and about, our Business Engineers deal with customers from the comfort of our stylish offices across the country. Our Business Engineer Apprenticeship Scheme will introduce you to several key areas such as Strategy, Commercial, Customer Operations, Marketing and Sales. With the help of your scheme mentor and other workmates, you’ll learn about every step of our customers’ end-to-end experience. At Virgin Media Business, we want our customers to receive the best support they need to drive growth. You’ll need to be able to solve their problems, help their businesses get bigger – and convince them to make us their preferred partner! As a technical role, you’ll need to have an A-level in a STEM based subject and GCSEs in Maths and English (Grades C+/4-9) – as well as some commercial knowhow and the confidence to challenge the status quo. We work in an energetically-paced digital marketplace where projects can change direction with the click of a mouse. So, our apprentices need to be able to move with the times – even if they don’t have all the answers at hand. Having excellent communication and presentation skills are equally essential. And, with nationwide placements, you’ll need to flexible about where you work. By the time we’ve finished with you, you’ll be able to take care of customer relations, understand all of the products and services that we offer, and the changing needs of our business customers. In 2017, we announced our long-term vision of achieving 50/50 gender parity by 2025. It’s super-important for us to reflect equality and diversity in our workforce – and that’s why we’re encouraging men and women to hone their business skills with us. We are looking for motivated men and women who are natural all-rounders with bright business minds, and the coolness to handle a customer-facing role. If that sounds like some of you… come and be a part of special with Virgin Media! • Educated to A-level or equivalent in STEM based subject. ARE YOU READY TO MAKE BIG PLANS FOR THE FUTURE? Virgin Media Planners design the network solutions that enable us to grow our industry leading network infrastructure. We have various Planning Apprenticeship Schemes on offer – most of them are office-based roles involved with IT software to develop network solutions across our organisation, although some also involve site visits. As a Planner apprentice, you’ll be trained by your scheme mentor and other workmates to deliver cost effective and appropriately scaled network solutions that move with the ever-changing needs of our business and customers. As a Planner, you’ll be trained by your scheme mentor and other workmates to deliver cost effective and appropriately scaled network solutions that move with the ever-changing needs of our business and customers. You’ll be shown how to make sure that our existing capacity is optimised while managing the lifecycle of our market leading infrastructure – completing capacity checks, helping us develop 12-18month network capacity plans and finding ways to improve our performance. As a technical role, you’ll need to have an A-level in a STEM based subject and GCSEs in Maths and English (Grades C+/4-9) or equivalent – as well as general understanding of routed and switched networks. Knowledge of techniques used in analysing, assessing and resolving complex technology problems would be welcome but not essential. We’re just as interested in what makes people want to join one of the UK’s most forward thinking and fun-loving companies. You’ll need to be relentless in your pursuit of results, able to work alone or as part of a team and constantly coming up with ways that will make our customers’ lives brighter, easier… and a bit more fun! We’re looking for talented men and women who are technically minded, great communicators and have a head full of innovative ideas. Our network is fast, efficient and prepared for the future – and you could say the same about our planners! • Completion of Level 2 Functional Skills exams is also required if not exempt. ARE YOU ‘THE BUSINESS’ WHEN IT COMES TO SALES? As part of our Technical Sales Engineer Apprenticeship Scheme, you’ll learn how to act as a link between the sales community and the rest of the Virgin Media Business (VMB) organisation – working closely with our Sales, Solution Architecture and Commercial teams. You will be responsible for pro-actively handling the early engagement and dedicated technical support for a variety of sales opportunities. With help from your scheme mentor and other workmates, you’ll be given the chance to develop your understanding of the business and sales skills while working closely with VMB customers. We’ll start you on simple accounts but, if you’re willing to work, you’ll soon be leading technical sales solutions, approving customer designs and operational considerations, calculating costs, assessing risks and more to commercially transform our customers’ businesses. You’ll also pro-actively handle early engagement and dedicated technical support for a variety of sales opportunities. And, we’ll also need you to support organisation-wide change initiatives and come up with ways to make our business better. We’ll expect you to have at least five GCSEs (Grades C+/4-9), including Maths and English or Functional Skills Level 2, although we’re just as interested in what makes people want to join one of the UK’s most forward thinking and fun-loving companies. Having an ambitious nature combined with a curious and creative approach will help your cause. You’ll also need to have a passion for digital technology and technical applications and, most importantly, a laser focused eye for detail. We’re looking for talented men and women who understand business and digital technology, are devils for detail and always put our customers first! 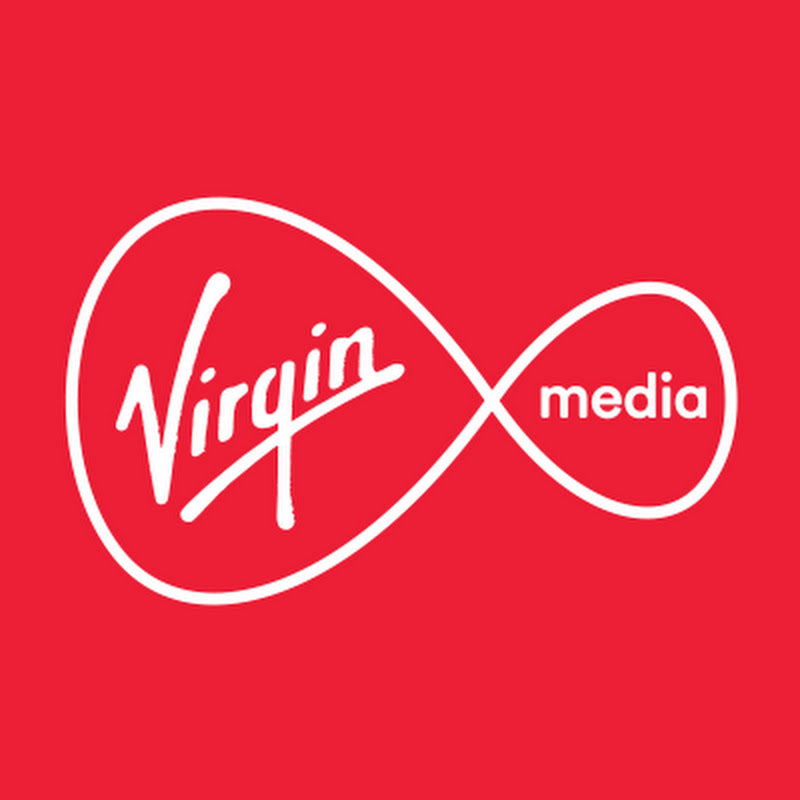 Come and be a part of something special at Virgin Media!